If you are doing dog sports, it is critical to review your cues to ensure they are distinct. Late last year I ran a ‘clarity check’ for Momentum and me as an agility team. You can read how I did this clarity check on my post “Does your dog have a CUE… or NO Clue?“. One of the things I reviewed was the verbal cues I use and the tone of the cues. There are many scientific papers referencing what dogs hear as cues. One paper that I found a few years ago made the conclusion that dogs actually respond better to tones than they do to words. You might say that I leave no tone unturned in my research. 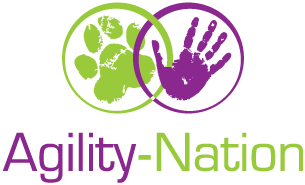 As the sport of agility grows and evolves, we owe it to our dogs to grow and evolve as trainers and handlers, and as educators for our students. Paying attention to the tone of your cues is not just for agility. 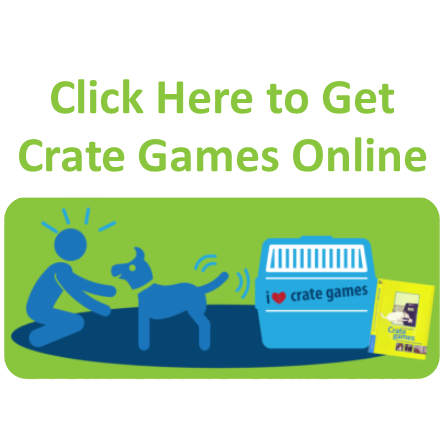 It can be for family pets or any dog sport. Are the cues you use distinct enough to give your dog clarity? Do those cues have value and a good association for your dog? I write down all the verbal cues I use for my dogs, and before I introduce a new cue I check the list and evaluate the tone of the cue and where I am using it for my dog. This is a simple exercise that anyone can do. A cue we would all want to be distinct for our dogs is our recall cue, so that could go on your list. Include all the cues you know that you give to your dog. We humans respond to tones too. Think of driving and hearing a siren. It’s very distinct. You don’t have to think about it. When you hear that siren, you start looking to pull over as you know there is an emergency vehicle coming through. The sound of a siren is unmistakeable. It doesn’t blend in with the “blah blah, blah, blah” of everyday life. We have all sorts of things in our lives that have distinct tones to alert us (the ring tone on our phones, the beeps from social media, the gadgets we have in our home). When you hear these sounds you know immediately what each sound means. And that’s what effective tones do for our dogs. If you are doing dog sports, it is critical to review your cues from time to time and before you introduce a new one. Pay close attention to how you deliver the cue. The video below is a short clip of me running through some of my agility cues so you can listen to the tone and delivery. Here’s how to do a cue tone evaluation for agility. You can do the same no matter what sport you do and for your everyday life cues. Write down all your verbal cues you presently use in agility. Include a brief description of the cue and the tone. Using your video camera or a voice recorder, record the way you say your cues. Many mobile devices have memo recorders. Play the recording back and note the clarity of these tones. If you have training / trialling footage, review your footage to hear the tone of your cues. In this footage are your cues clear, and are they the same as you noted on the evaluation sheet? Next, review your recorded verbal cues. Can you hear a difference in your tone when using different verbal cues? If you can’t hear a difference, consider your dog will not be able to. Your tone evaluation can help you become a student of your own cues. Each cue you have should be a very distinctive prompt for your dog’s agility behaviours. Are the cues clear to you? If you are interested in the paper I referenced, click here for “Domestic Dogs Use Contextual Information and Tone of Voice when following a Human Pointing Gesture”. Let me know in the comments what you discovered in your tone evaluation. If you like dog agility, then you’re going to LOVE what we’ve got planned coming up at the beginning of February. There will be lots of fun, lots of learning and did I mention lots of fun? To join in, you can jump into our Free Dog Agility Facebook Group and stay tuned. If you are not on Facebook, don’t worry, you can join in and we will let you know when we start the party. Tater contemplating what’s coming up in February. Today I am grateful for scientific research and all we can learn to be at our best for our dogs.